With the onset of summer vacations, many Dubai residents look to move to cooler locales to spend the summer, or connect with family and friends over the extended break. While taking respite from the rapidly heating city is a welcome change, vacationers often end up worrying about the house they are leaving behind. However, a little planning and a simple checklist can ensure you enjoy a worry-free vacation while your home remains safe and secure. “Leave your AC unit on when on vacation,” advises Vijay Kavasseri, general manager of Mplus. Contrary to popular belief, it is advisable to keep the air conditioning running, albeit on a low thermostat setting, to ensure the house remains cool and mold free. The science behind it is that our air conditioner continually removes moisture from the air in our house. With the AC unit switched off, windows, floor and other interior surfaces can develop a layer of condensation. The trapped moisture can cause mildew growth and constant high temperatures can even cause warping in wooden doors and furniture. Kavasseri further suggests setting the thermostat to 25 degrees, which helps avoid condensation and moulds. “Additionally, to allow circulation, leave all frequently used units on and open all doors,” he says. Kavasseri also suggests closing the curtains or blinds to ensure the house remains cool. While most of us remember switching off big-ticket items like lights, forgetting to flick the switch on appliances can result in a significant energy drain and added costs. “Electronic devices still draw energy when they are plugged in but not in use, so get into the habit of unplugging anything that’s not needed,” suggests James Day, director of Hitches & Glitches. This is especially true for electrical devices that are habitually kept on standby, such as the TV. Kavasseri also advises turning the water-heater off. “Check all taps and water features are turned off,” he adds, with a view to avoiding unnecessary water wastage due to leaks or spills. Securing your home before you leave for vacation follows one simple rule: check once, check again and check yet again. Ensuring all doors and windows are locked and secure is imperative for the security of your home. However, an oft-overlooked factor is the maintenance of doors and windows, which prevents any damage, especially to the locking mechanism. Also, check any equipment that could potentially be used by a burglar. “Secure all car, home and garden tools that could possibly be used by a thief to break into your home,” says Day. Most experts also recommend leaving your contact details, and even spare keys, with a trusted neighbour or friend, for them to periodically check on your property or contact you in case of an emergency. Placing valuables in a safe is also a good idea. Also, keep your travel plans low-key and avoid telling strangers about your plans to on holiday. Additionally, social media messages or voicemails at home or at work can add to the risk of attracting opportunistic burglars. The first step in this direction is getting an alarm system installed. “Have an alarm fitted and register your home with the Dubai Police,” says Day. Glass break detectors with alarms are a good option and relatively low cost. “So if someone does break a window or glass door panel to gain entrance to a property, a loud audible alarm will sound and help to deter them further,” says Barnett. 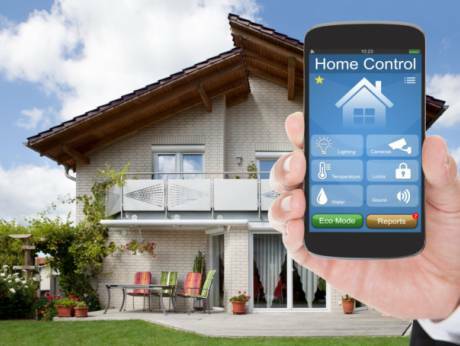 Advanced alarm systems also use the mobile network and not landlines, and, therefore, can’t be tampered with by burglars. “But don’t forget to activate your alarm system,” reminds Kavasseria on a common mistake among holiday-goers. The next step is installing a camera to monitor your home. “Modern cameras can be bought for a fraction of the cost of previously expensive home CCTV systems,” says Barnett. Automatic timers to turn lights and TVs on and off at set times are also highly recommended to create the impression that the house is inhabited. It is worth taking a little time to consider your home security when you are away. “Returning to a home that is just the way you left it makes the best summer vacation,” says Barnett. *	Almost 50 per cent of burglaries happen in empty homes. Fit an automatic timer to activate lights, or even the TV, when dusk falls and switch them off at dawn. *	Keep cash, phones, jewellery and high-value items out of plain sight and in a secure safe. *	Cancel newspaper deliveries, pay utilities, ensure your contents and building insurance policies are up to date. *	Ensure plumbing, the AC, doors and windows are well maintained. *	Unplug all electric devices and appliances, even those on standby. *	Ask a friend or neighbour to keep an eye on your home while you are away. Ensure you leave your contact details in case of an emergency. *	Avoid telling strangers you are going away on holiday. Try not to post photos or messages on social media sites while you are away on holiday. Same goes for your voicemail at home and at work. *	Remove garden tools and ladders than can be used to break into the house. *	Have an alarm fitted and register your home with the Dubai Police. *	Invest in a camera and a remote monitoring system.